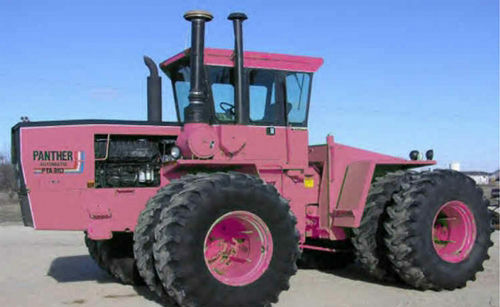 A followup post to pink tractors from last year. Many thanks to Joanna & Phil Ader from Loogootee, Indianna for sending pictures of their 1944 Case SC. I Officialy HATE with a passion…..this blog. It is offensive, because i absolutely LOVE John Deere! And I don’t appreciate a John Deere tractor being caught on fire. G’day Bob from Ohio. Wow, apologies mate – I don’t wish to offend. So your favorite colour’s green. It don’t matter – red, green or pink with purple spots, they all break down, they can all get bogged and they can all catch on fire. When a picture like this pops up or some clip from a tractor pull, I tend to publish it out of interest.